Roulette (21) Fountain Ledge. 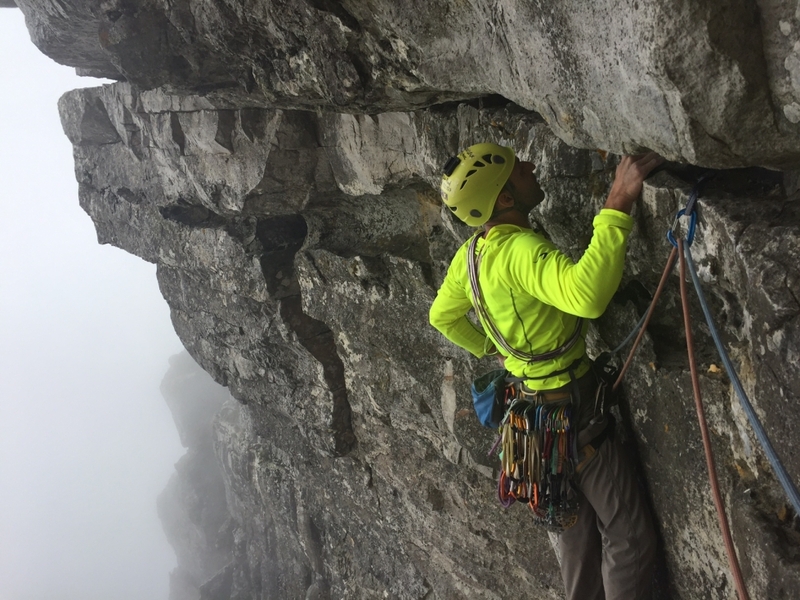 It’s possible that no other rock climb in South Africa has attracted the attention that Roulette has… Never before and doubtless never again have climbers stood in line to pit their skills against such an obvious and dangerously alluring piece of rock. 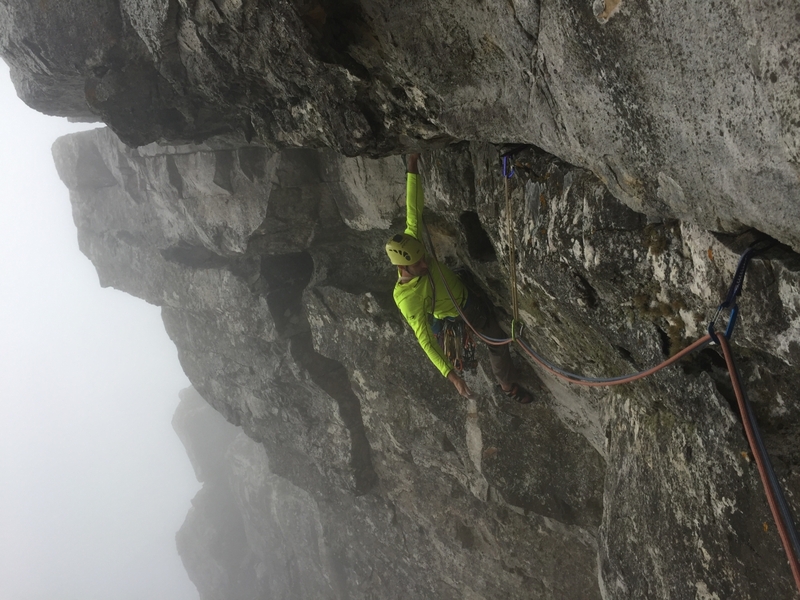 The line consisted of a steep undercut traverse followed by a forty-degree overhanging crack and was, at the time, futuristic, ambitious as well as clearly beyond the grade of any route in existence. The first attempt on the traverse was made by Honey who gave it a look but, after covering just a short distance, scurried back to the sanctity of the wormhole stance. The ‘sharp end’ was then handed to Don Hartley. Don scampered across, lassoed a flake at foot level and speedily executed the difficult move to the top rail… As he grabbed the upper rail, his heavy boots cut loose and he found himself hanging free. The eeriness of the position and the sudden overwhelming sense of commitment must have struck a sharp note of terror causing a severe sensory overload… Watts yelled for him to ‘Go for it’ but the encouragement was lost in a maelstrom of fear and panic as the situation began to unfold. He let go. With his gear far behind, below and away from him he took the flight. His body gathered momentum in free-fall and pendulumed at full force into the opposite wall – connecting it head-on. Concussed and badly injured, he was lowered to the ground and later transported to hospital. At this point, grades don’t matter. 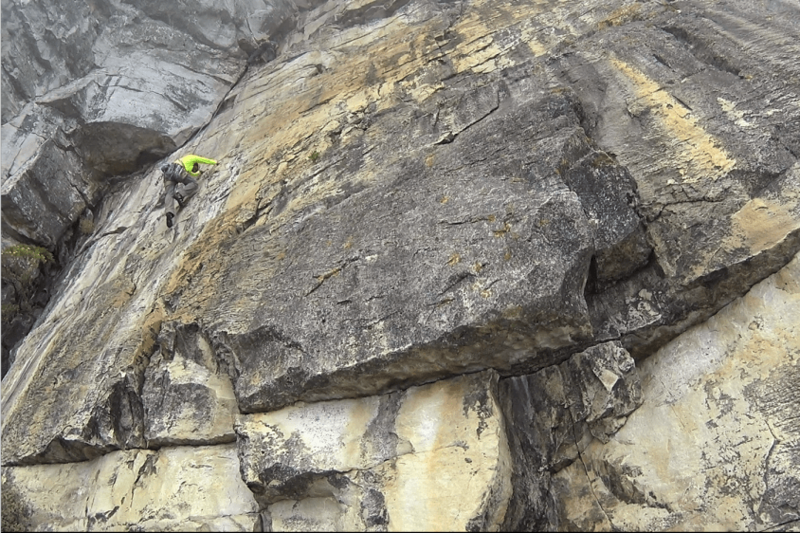 I wanted to try a piece of the South African climbing history (and anyway, like all old-school routes, grades become irrelevant… these are just massive sandbags and I have climbed easier 6c+ than some of the 6a’s and 6b’s found on TM…). We met Henk the following morning at the lower cable car station. We clicked immediately. Like Malcom on my first trip, this guy was just nice from scratch, patient, attentive and we felt very secured with him. This is what I like with climbing, the community is full of passionate and extraordinary people. Henk is definitely one of them. And I could never thank him enough for the time he has dedicated to Hande and I. It must have been written somewhere that each time I would go on the “Fountain Ledge”, I would not be allowed to see the sun and have to climb in the mist. 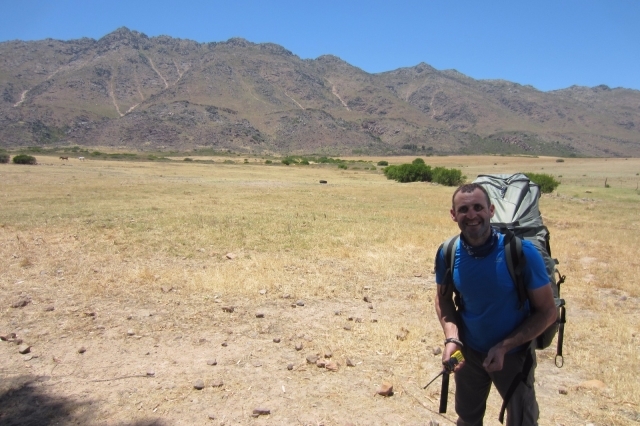 This day was no exception and unfortunately, we would not benefit from the spectacular view on the Jacob’s traverse. Hande was not very thrilled at the idea of following us on Roulette. We agreed with Henk that she should climb Jacob’s ladder instead. 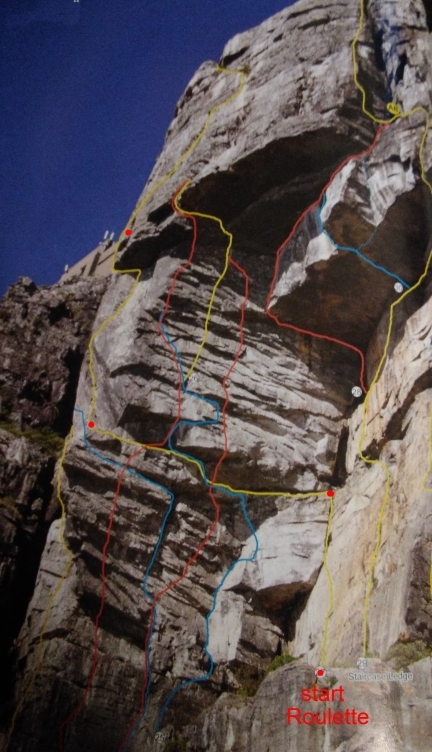 Both routes connect at the end of the second pitch of Jacob’s (the famous traverse – not to be confused with the infamous Roulette traverse ;)). We would send the ropes back to her once done with the first two pitches of Roulette and belay her from Jacob’s traverse belay station. 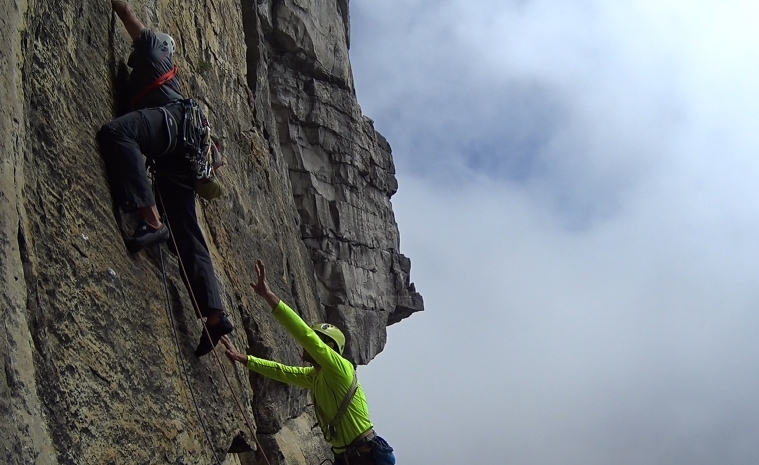 We abseiled from the upper station at the top of Table Mountain and quickly scrambled to the start of the route. Henk was going to lead the first pitch, I would then lead the traverse and the overhanging crack, belay Hande on Jacob’s ladder and he would finish the climb combining the last two pitches into a big one. Henk would belay us simultaneously thanks to the double ropes. 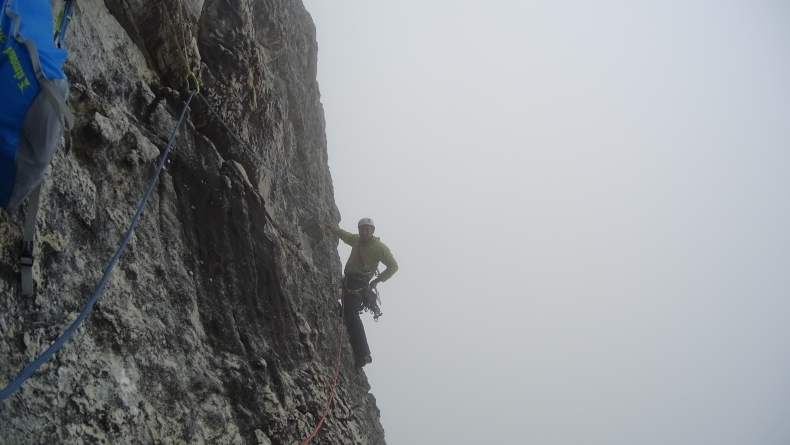 I was becoming nervous and climbing in the clouds was adding a “dramatic” touch to the climate. The route immediately starts with a bouldery move and Henk climbed it efficiently. He made his way up quickly to the stance and I was soon seconding. This is really enjoyable to witness an effortless trad climber in action, the way he makes his placements and protects the route. You learn a lot. That was now my time to lead. I wanted to onsight the traverse pitch. 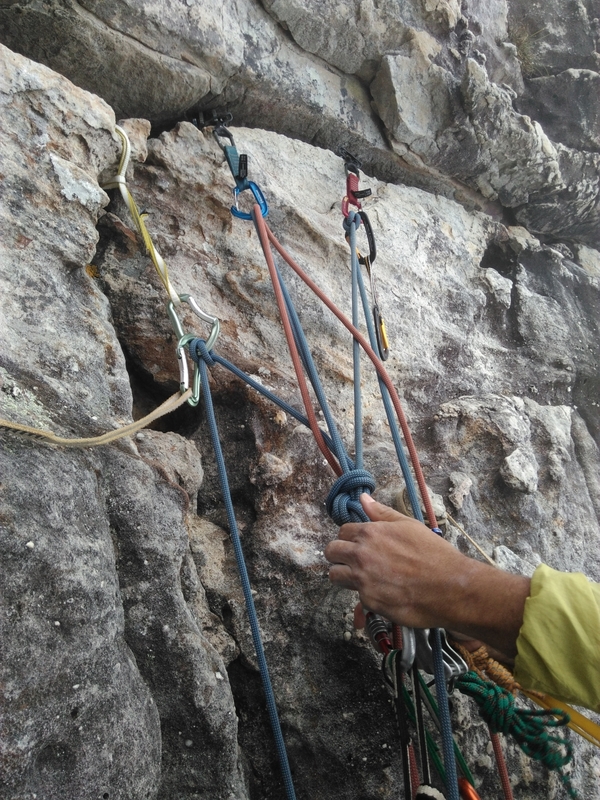 Trad climbing is so different from sport climbing… Not only do you have to onsight the moves, but you also have to onsight the gear placements. On the top of that, you have 5 kg of cams/nuts/draws and other shits hanging on your harness. Not the same game anymore. From the belay station, the traverse was looking way much more intimidating than from the ground. It looked steeper and more overhanging that I had anticipated. I began to make my moves under Henk’s encouragements. I was tensed. The pitch is not difficult per-say. It is just pumpy and you have to go fast with precise footwork. I made it to the rail handover and committed to the crux. 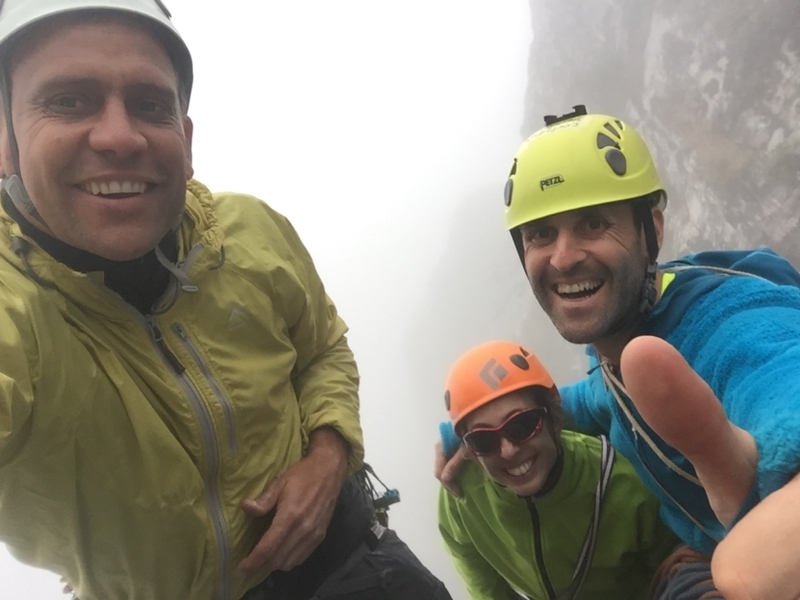 I placed my last cam just after the move, ready for the final rush to the belay ledge with Henk shouting “fast fast fast” to boost me. Too pumped and scared, I finally took my deserved whimper… and had to prussik my way back up to the #3 cam. Bye bye onsighting Roulette. 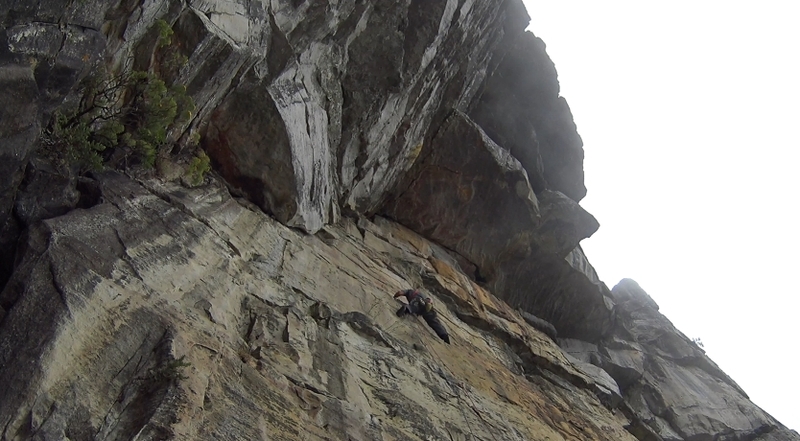 That will give me an opportunity to come back and properly redpoint the route, let’s see the positive side. 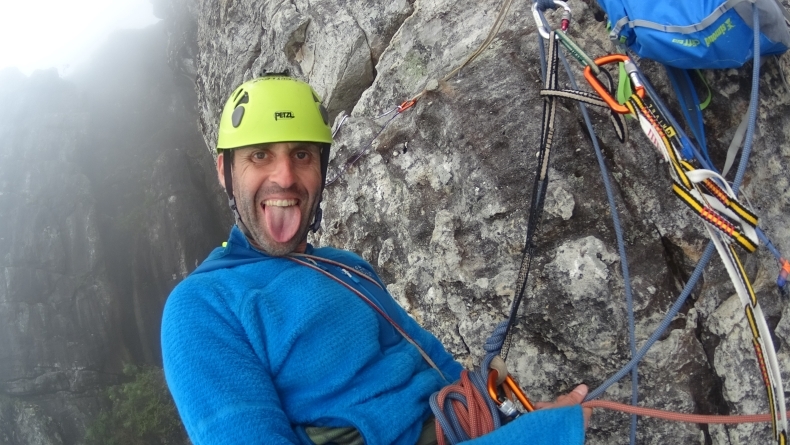 After resting for a few minutes I finally made the last move, build my anchor and started to belay Henk. 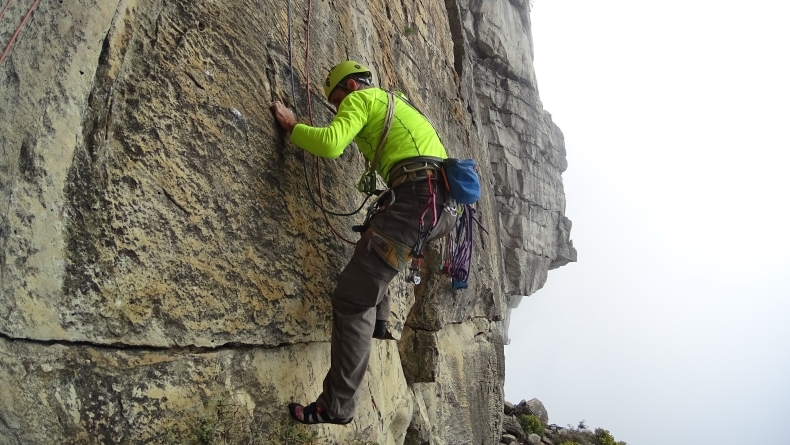 Seconding on a traverse is far from being an easy task. Especially on Roulette. 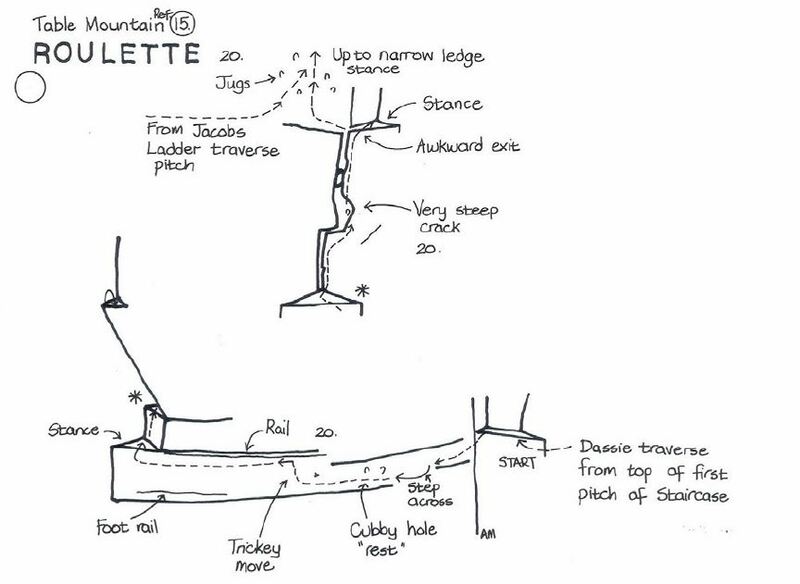 The last placement is right after the rail handover as most climbers then dash to the anchors. That leaves 5m without protection and a promising swing should your seconds fails to make it through the crux. 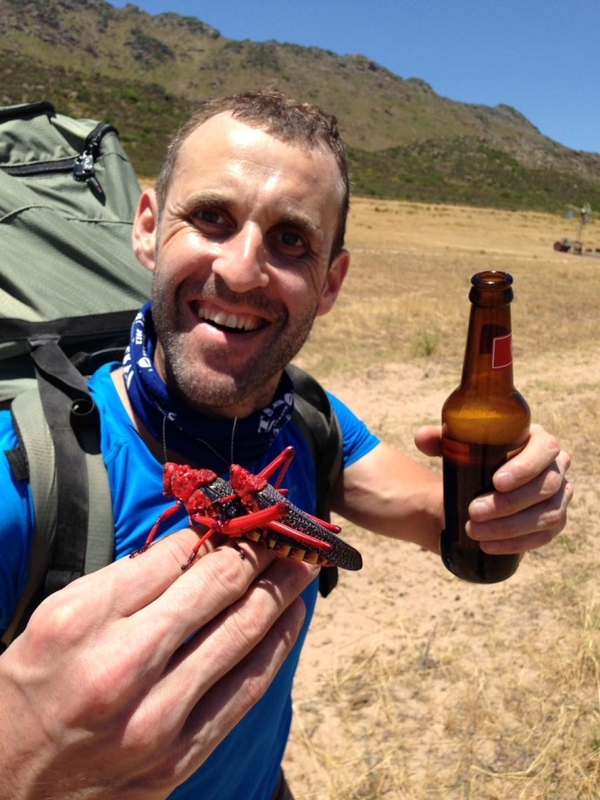 Henk succeeded after an impressive fight! Wow! The guy is good! While belaying me, he even took some extraordinary pictures of myself. The following pitch was mine as well. Same story as for the traverse, the overhanging crack was looking more impressive than expected. How can this thing be only french 6b ??? Already too pumped, mentally and physically exhausted, needless to say that my attempt failed miserably and I climbed very poorly to the stance of Jacob’s ladder. Even the jugs on the way were feeling like crimps. Henk followed me in a nice style, as usual, and we started to send the ropes back to Hande who was freezing at the tree stance of Jacob’s. She literally walked the route and soon we were all 3 together, enjoying a sun bath at our anchor ;). A few more efforts and we were at the top of Table Mountain, back to the cable car station and on our way to enjoy a glass of wine, celebrating an amazing time outdoor. Thanks Henk for allowing us to spend this fantastic time with you. We hope to see you again in Cape Town or here in Singapore if you happen to fly in our region. As for Hande and I, mission accomplished; three days of stellar rock climbing. The weather was now deteriorating and it was time to do more cultural activities and stack the biltong reserve for Singapore. 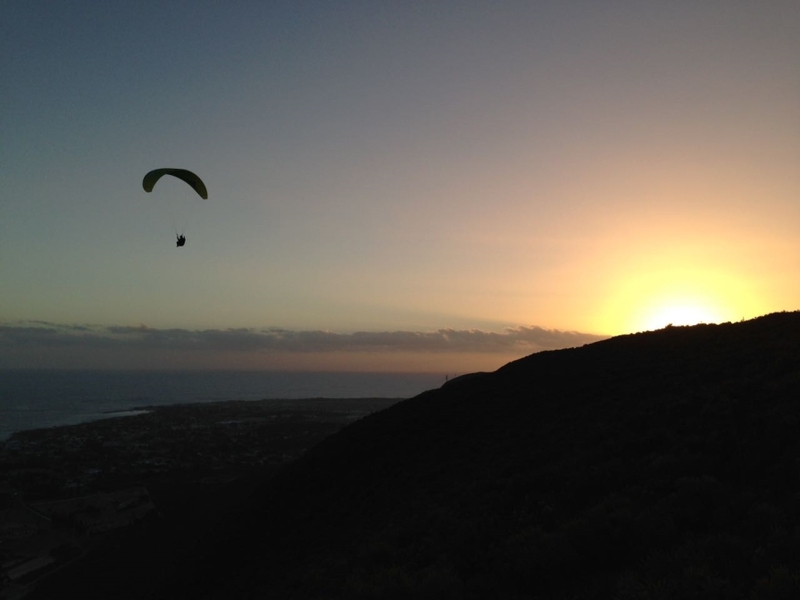 Nora from my Singaporean paragliding group was on her way to Cape town for a paragliding competition. 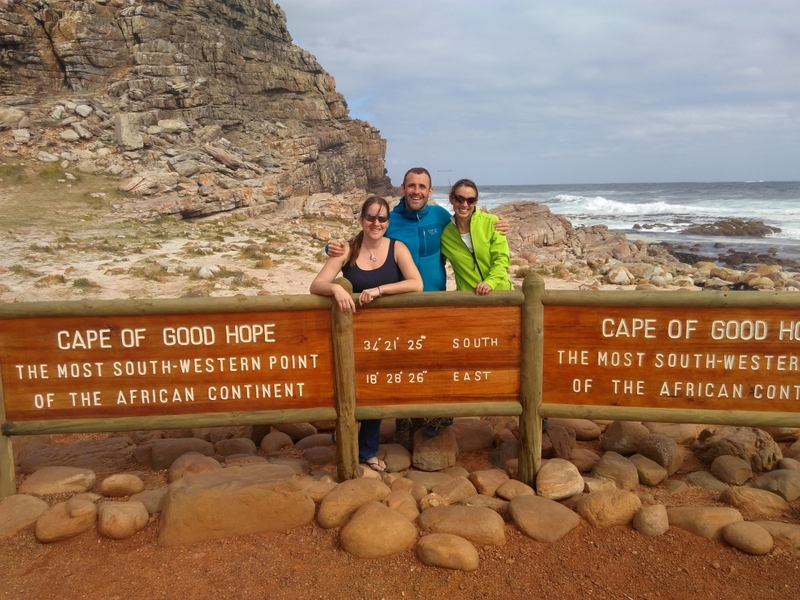 We would meet with her and visit the Cape of Good Hope. South Africa is not only famous for rock climbing… As usual, wherever it is possible to climb, it is most probably possible to fly. 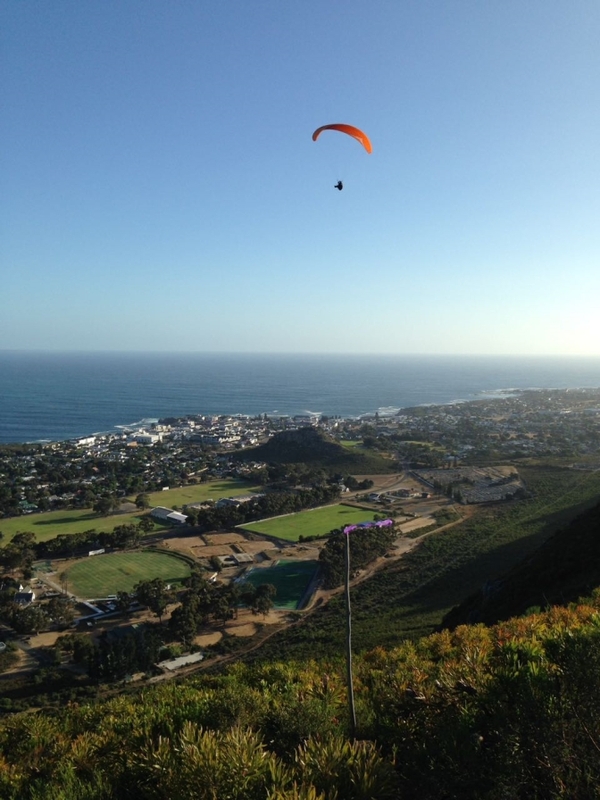 I really wanted to take this opportunity to discover the paragliding scene in Cape Town. 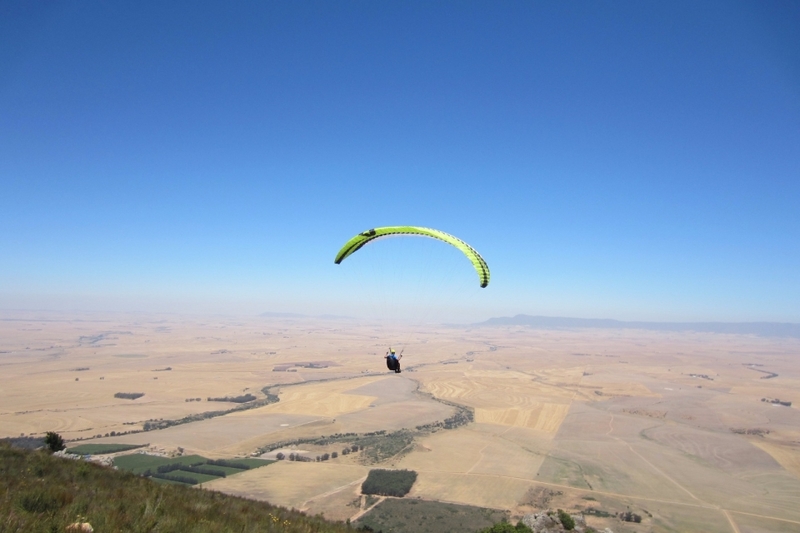 Moreover, one of the paragliding world cup event was going to be held in Porterville, a small city 150 km north of Cape Town. And Nora was on her way to join. 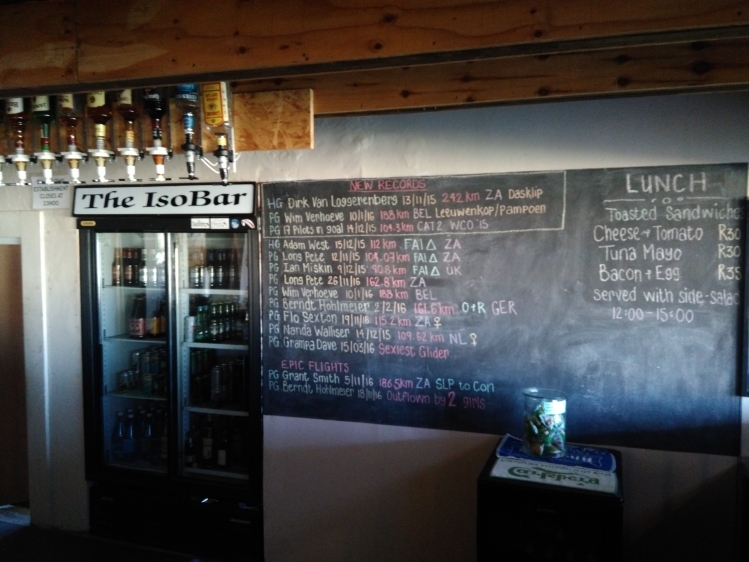 There are tons of sites in the Cape Peninsula. And with most of them, you can either soar or go on a cross country adventure. 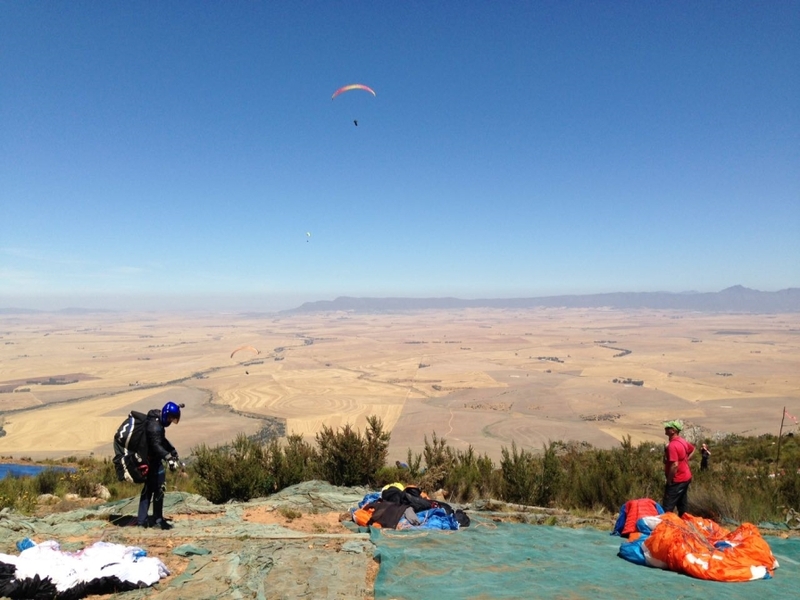 It is strongly advisable to hire a guide if you want to paraglide. This way, you’ll maximize your time flying while enjoying the best conditions and the best security. it is better to rely on a local that knows which site works and when. Don’t underestimate the different areas. Takeoffs like Lion’s head or signal hill can become very tricky due to very local micro-system. It’s not unusual to see the weather deteriorating fast and sometime the window of opportunity is very slim. Porterville has a very specific window too. 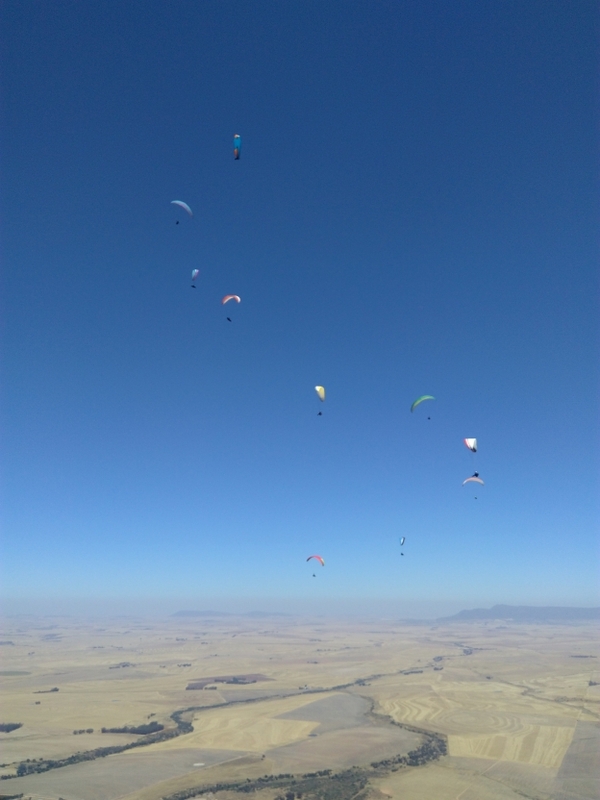 One way to monitor the weather is to have a look to the iweathar website that broadcast live wind conditions for most of the paragliding site. Prior to this trip, my paragliding group in Singapore recommended me to talk to Barry & Candice Pedersen from the Birdmen paragliding school. As they were fully booked for the period, they offered me the guidance of their assistant instructor, Frank. This choice will turn out to be an amazing call !!!! I contacted Frank who organized for me a small road trip across the country for 3 days. 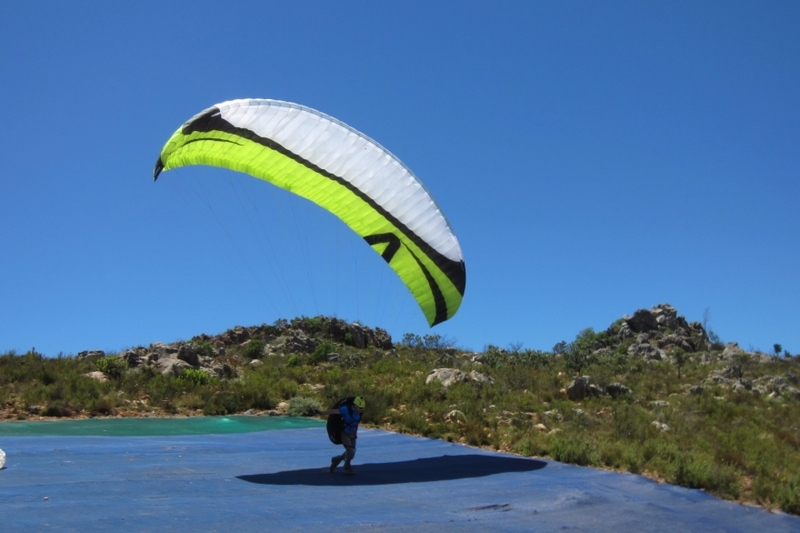 Depending on the weather, we would fly in Capetown, Porterville or Hermanus. The flying part was very good too. 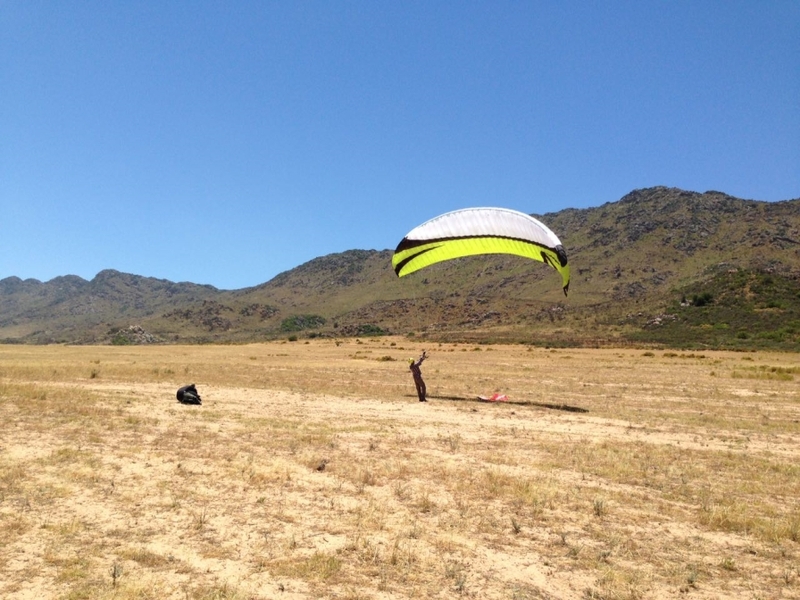 Although the conditions were not the best, we could still enjoy some 1h+ flights. For me, it was very interesting to practice thermalling in stronger conditions that I’m used to in Asia. And Frank was dispatching some nice advice on the radio. We spent the following day there too and made a move back to Capetown as the takeoff window for the next days were not going to be great. 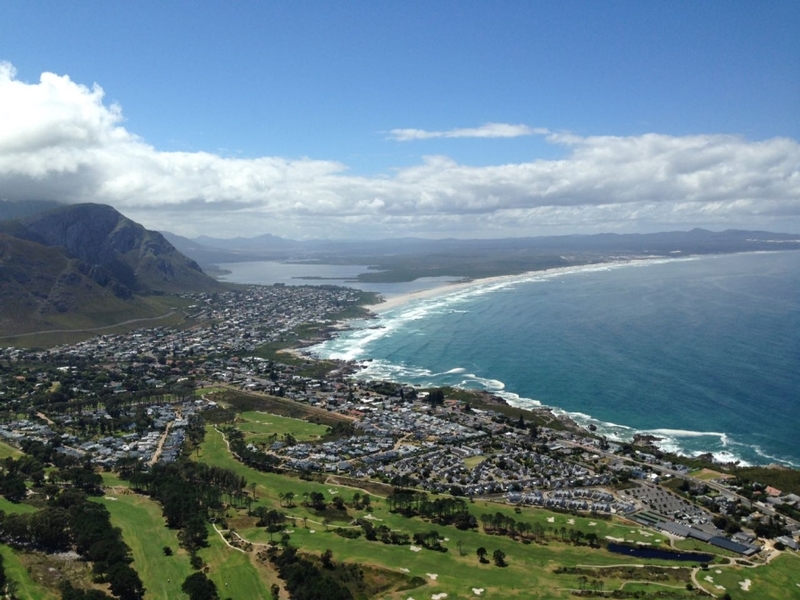 Next on the list was Hermanus as flying in Cape Town wasn’t possible either. Hermanus is mostly famous for its whale watching during winter. 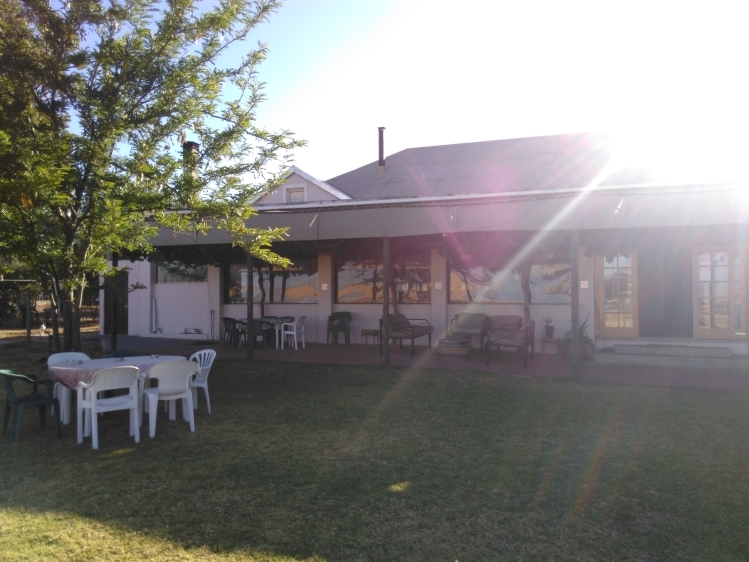 This is a coastal soaring venue, but with the correct condition you can practice cross country too. Frank invited me to stay at his house (we had a fabulous dinner at his local restaurant, Moltenos – highly recommended !) and the next morning we were the first on site. The sea breeze was already strong at 9am but would still allow us 2-3 hours of flying. Barry and Candice were also there with some students. The air was very turbulent and it was clearly a very good exercise on active piloting. I was very happy with my takeoff/landing skills in strong conditions… I guess that all the ground handling done in Singapore finally pays off. PS: take the scenic road when coming from Cape Town ! I didn’t get the chance to fly from Lion’s head or Table mountain. That will give the perfect occasion to come back to this beautiful country. 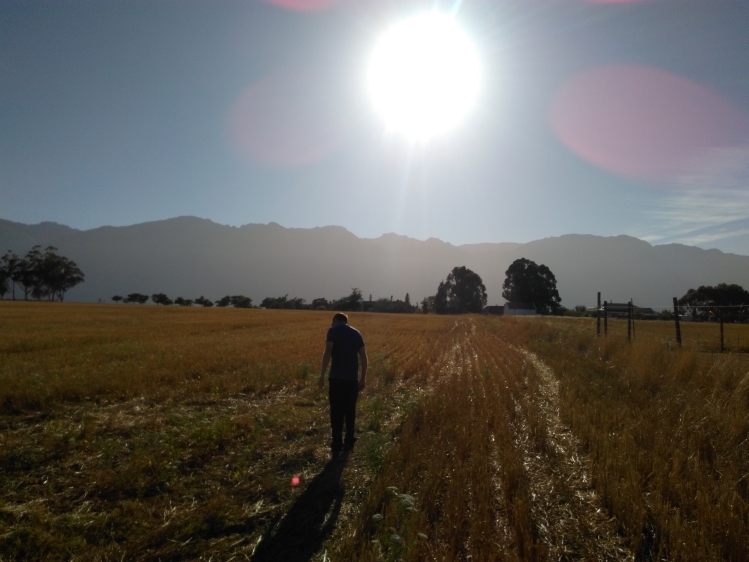 Cape Town is now in my heart forever. This city will always remain very special for me. My pleasure, you have a wonderful town ! I hope that the recent forest fire (in dec) hasn’t been too bad. Have a good day and see you next time !